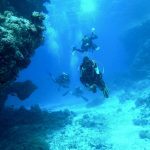 How do I book my diving package or diving course with you? You can either call our team or send us an email to book your diving package. When e-mailing please include the dates you would prefer, your level of diver certification, if applicable, and the course / package you are interested in. We respond to all e-mails within 24 hours and will confirm the availability and prices of your required diving package or PADI course. ‹ Where can I find you?